A protester is seriously wounded. Downtown Montreal is in a state of chaos. Protests against Law 78 are growing more intense as the law begins to come into effect. I can hear the sirens and noise grenades from our apartment downtown. This wounded protester below has been taken to hospital, and his current state of health is unknown. 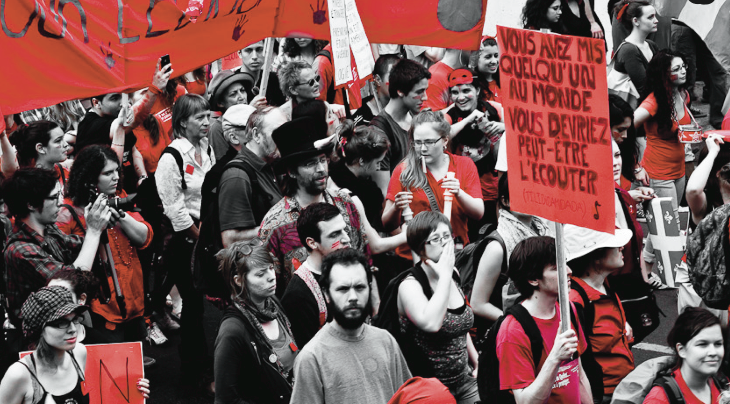 These protests began due to a dispute about education costs, but they are now about substantially more than that. See my previous post for more details. Update (June 6th): Luckily, this protester suffered no serious injuries. -- Anyone planning a protest must inform police as to the route at least eight hours in advance. Anyone participating in the protest is responsible for ensuring that they do not deviate from the plan filed with police. -- Protests on university campuses are forbidden. Protesters cannot come within 50 m of the campus perimeter. Penalties for violating these laws will be extremely severe. Fines will start at $1,000 and go up to $5,000 for individuals. Individual organizers will face fines of $7,000-$35,000 per day. Organizations themselves will face fines which range from $25,000-$125,000 per day. My father, Walter Senkowski, was a very successful business executive who, like many of today's corporate-minded school reformers believed in results. The results he was after were profits in the heavy construction equipment business and he had faith in his own ability to generate profits for his shareholders, so much so that he tied his own compensation almost completely to the profitability of his company and he encouraged his sales force to think about compensation in the same way. But he never tried to tie the compensation of his union member service workers to individual performance because he understood that this kind of direct tie to work outputs just couldn't be made with any integrity. And also important, he always knew that taking care of his employees, financially and personally, was critical to the bottom line with respect to profits and reputation. I said I would keep things updated, but I didn't think I'd have to add an update to my earlier post so quickly. This afternoon, in a surprise announcement, Line Beauchamp, Québec's Minister of Education, tearfully resigned both her post as minister and her seat in the legislature. She commented, "As Minister of Education, I didn't succeed in getting [the student leaders] to compromise. I am making the only compromise that I can make: I'm giving up my position." She added, "I'm hoping to provoke something, to provoke a change." 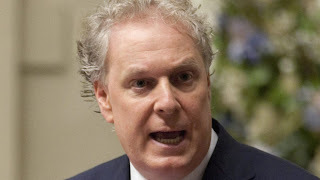 Beauchamp, along with the Premier Jean Charest, has been a top target of student ire, but she has also recently been tarred by scandal due to having held a small fundraising lunch that was attended by Domenico Arcuri, a suspected mafia figure. Donato Tomassi, a (disgraced) former Liberal organizer commented in Le Devoir, "Frankly, it's not possible that she didn't know who was at her lunch. When you invite 20-25 people in, and it brings in more than $60,000, you know who's at the table." Meanwhile, Premier Charest indicated, cryptically, that "things are going to change" with respect to the student strike. On an unseasonably spring afternoon in March, De Maisonneuve St., a four-lane artery, has several couches sitting in the middle of it. Students are lounging around on them, chatting with each other and sipping some drinks. I enjoy the warm day as I walk past. Outside my house one night in April, a helicopter is buzzing overhead. Our cat runs toward the back of the house and hides behind the couch as thousands of people, all dressed in red, walk past my door, chanting. Phalanxes of police cars cruise down the street, flashing their lights. Last Thursday morning, I arrive at an academic conference in downtown Montreal somewhat bedraggled (as usual). I'm on my bike and it has been raining, so I'm wearing big yellow rubber-lined rain pants. "Are you here for the conference?" the security guard asks me in French. I explain that I am, and I show him my driver's license as well as where I am listed on the program. But without my accreditation, he won't let me into the conference center. It turns out that the subway has been paralyzed by smoke bombs all morning and the security guards are worried about disruptions to the conference. I guess that with my yellow pants and generalized dishevelment, I not only look ridiculous but potentially threatening as well. Once I finally get into the conference by another entrance, I show up at the session and no one is there--traffic jams and the smoke bombs mean that the sessions are temporarily on hold. This is Montreal in the Spring of 2012. The student strike is still ongoing. Recently New Hampshire (the state where I currently reside) has been inundated with proposed education legislation—from a statewide voucher program to the required offering of Bible classes in schools to a school’s obligation to offer an alternative curriculum if a parent disagrees with the current one. One of the most interesting bills is HB 1403, which takes issue with the International Baccalaureate program, a decades-old program housed in Switzerland and run by a UNESCO NGO. The program offers a rigorous curriculum and is currently used by two schools in New Hampshire. While I am not intimately familiar with the IB program, I was intrigued to hear that the majority of NH Representatives felt that the program should be banned from New Hampshire because it is designed by foreigners and because, rather than upholding US or state laws as the highest guidelines and championing US sovereignty at all costs, it draws upon globally-oriented documents and philosophies such as those endorsed by the United Nations. Some feared that the IB program was a form of international indoctrination that taught un-American values, rather than concentrating on instilling facts. 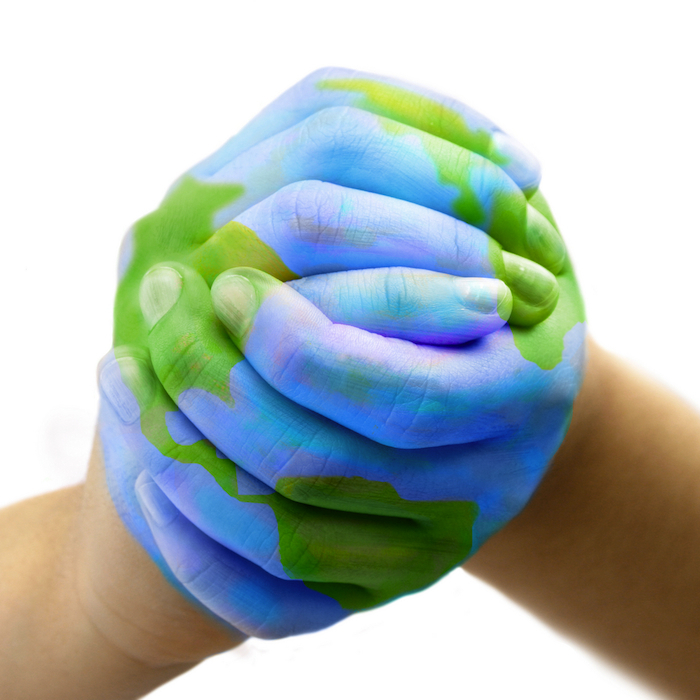 (A selection of quotes about concerns with the IB program have been collected here.) While some state residents echoed similar concerns at hearings at the state capitol and in newspaper editorials, participants in the program, including high school students, spoke passionately on its behalf and, partially as a result of the student efforts, the bill was just recently voted Inexpedient to Legislate by the Senate Education Committee (despite its overwhelming support in the House). The existence of such proposed legislation and the discussion it provoked certainly raises concerns about the local control of schools, including the teaching of both facts and values that are upheld within one’s own community. But it’s also noteworthy when a local community participates in a school’s decision to intentionally select a foreign-based curriculum, thereby invoking local control to make a non-local choice and privilege global perspectives. 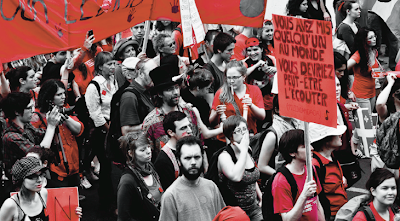 It’s also noteworthy that even as cultivating citizens who are globally competent, or at the very least workers prepared for an increasingly global economy, becomes a more widely held purpose of schooling, the desire to maintain state and federal control over how global living is defined is still quite strong. Every educator (and parent) needs to look under the rock that is ALEC (the American Legislative Exchange Council), an apparently innocuous legislative advising group that is systematically writing and spreading legislation intended to undercut public school in order to open up corporate profit opportunities. A piece in NEA's recent Education Votes not only takes you under the rock but offers some suggestions about how to respond. Take a look! In School and Society, John Dewey described the school as a social microcosm that the young should find consonant with a humane and functional society. He assumed that the social ethos the young experienced, day in, day out, would reinforce the influence of a well socialized school. 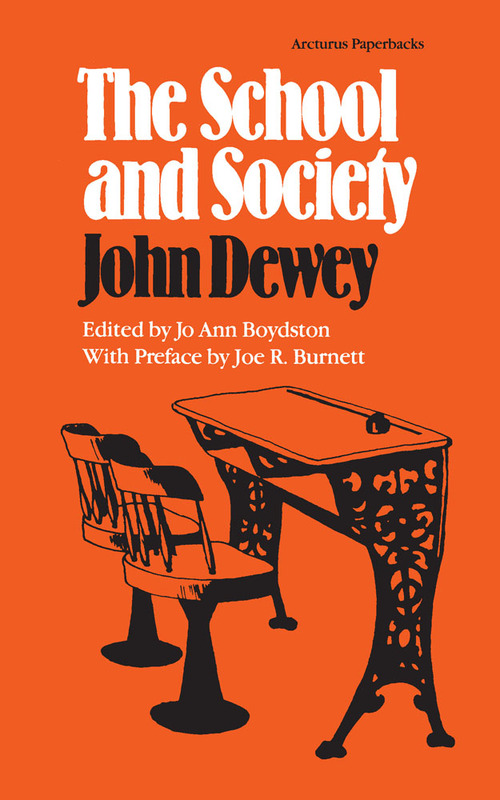 Were Dewey writing now, the resulting book would be Society against the School. The school struggles as the social ethos constantly carps that the schools and the teachers are failing the nation, putting it at risk. Critics sound as if all the other elites were doing an exemplary job in their domains, upholding the interests of the nation through selfless wisdom, while the schools alone subvert the nation's prospects. This carping damages educational effort, but it is a symptom, and not a cause, of how society has turned against the school.